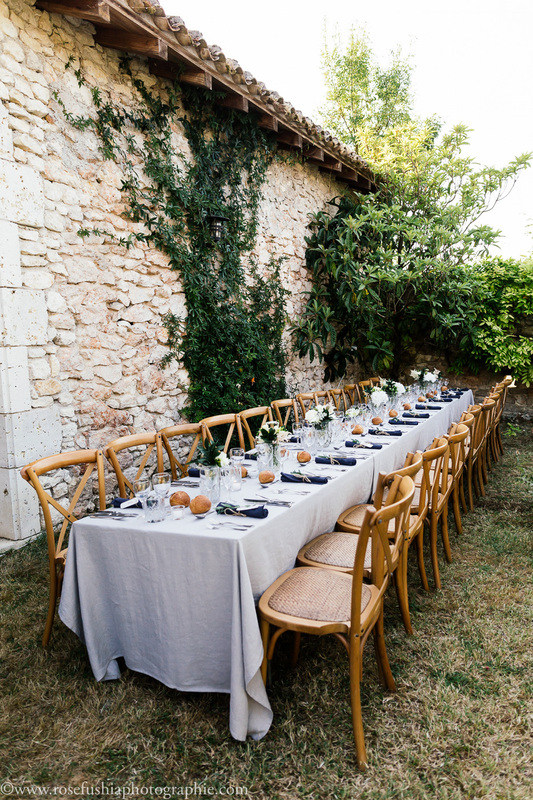 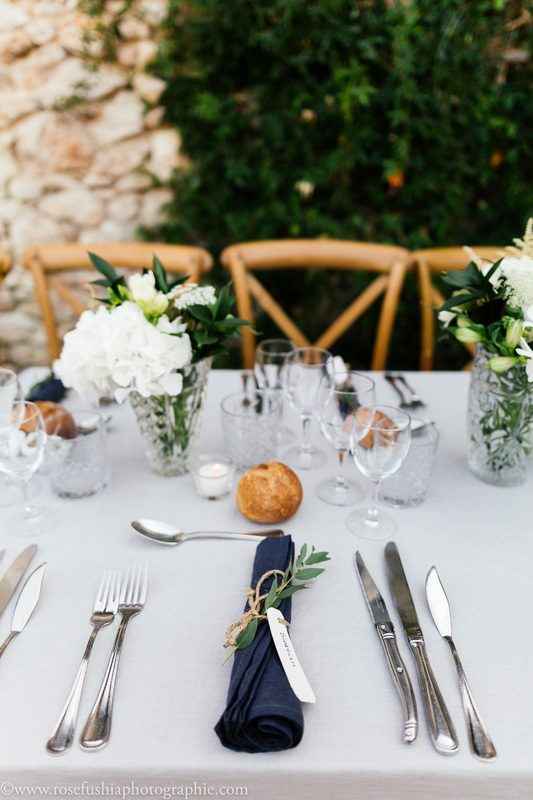 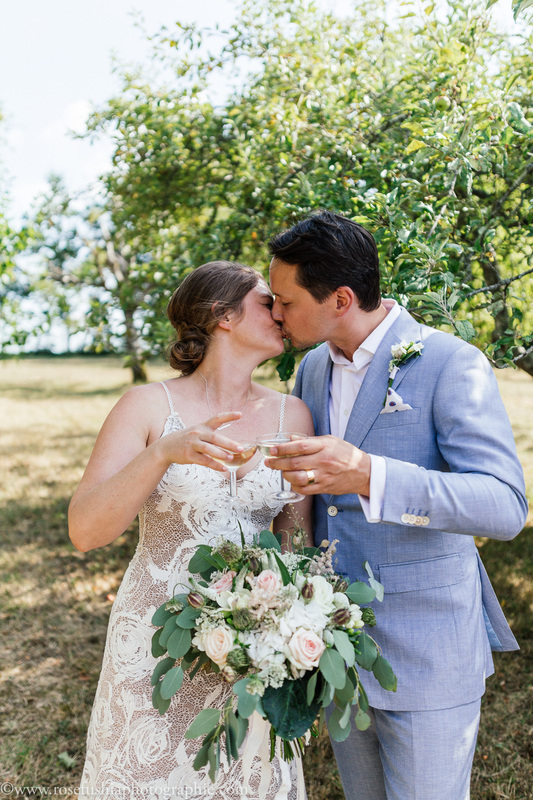 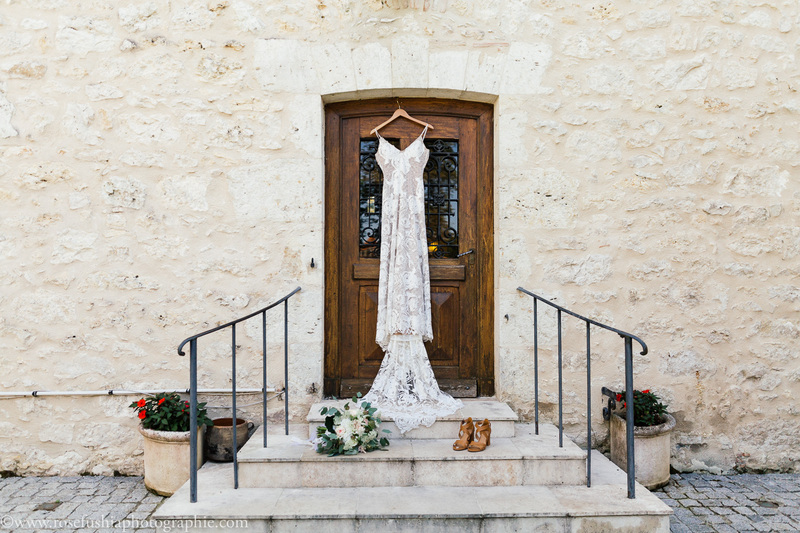 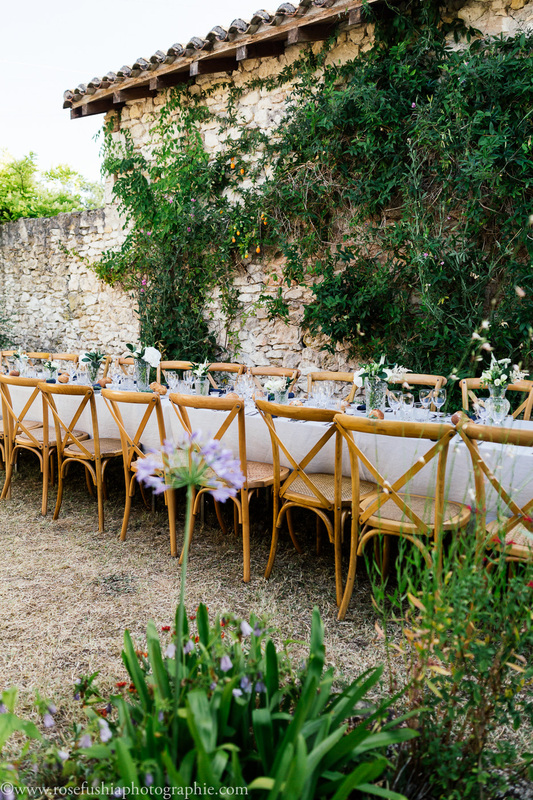 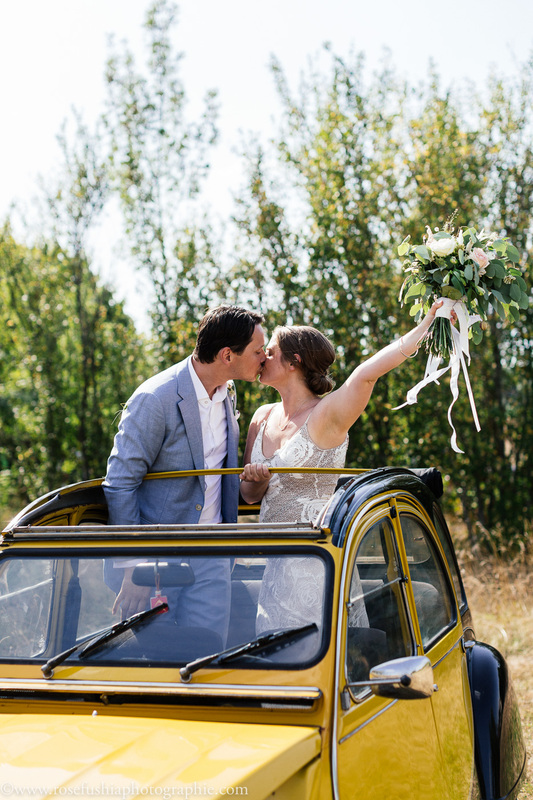 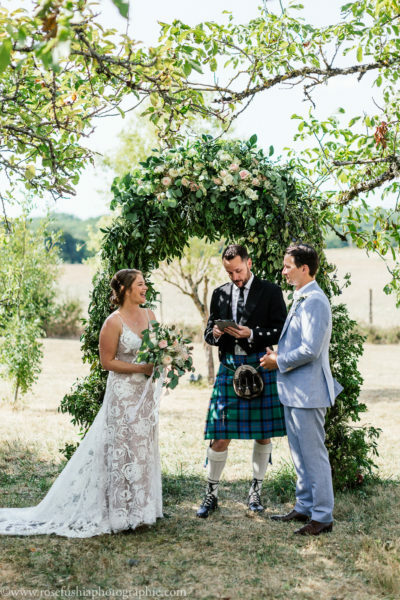 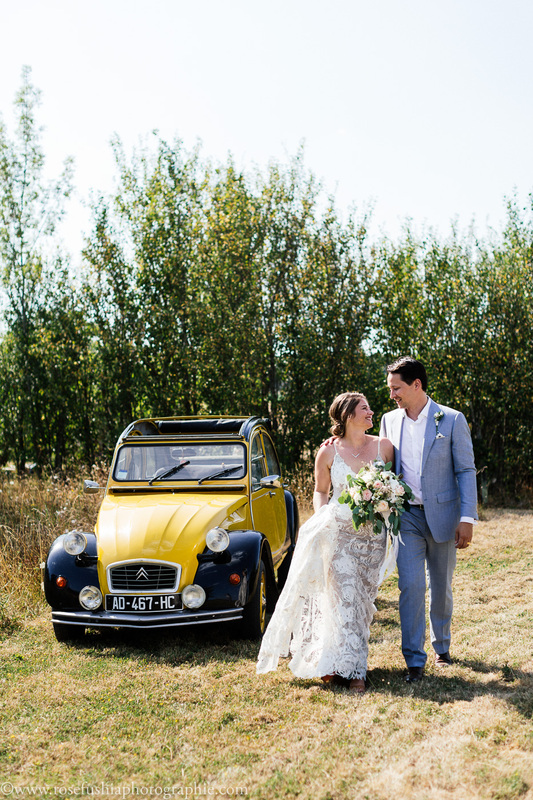 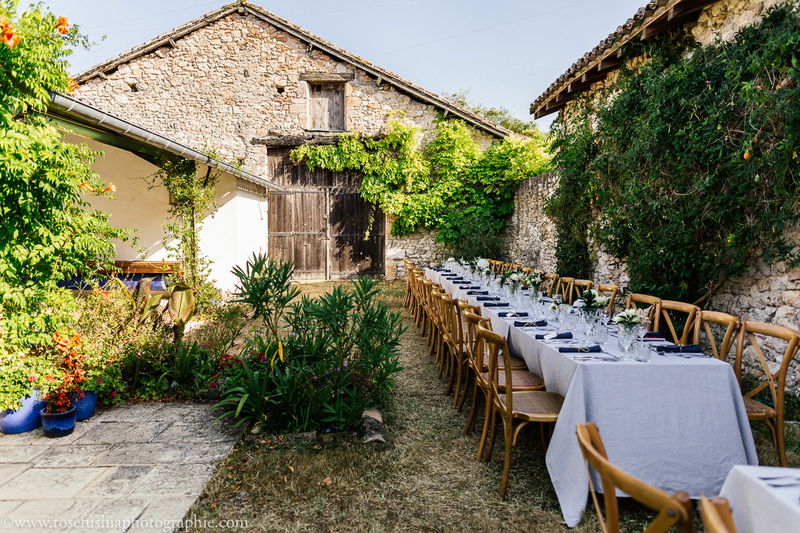 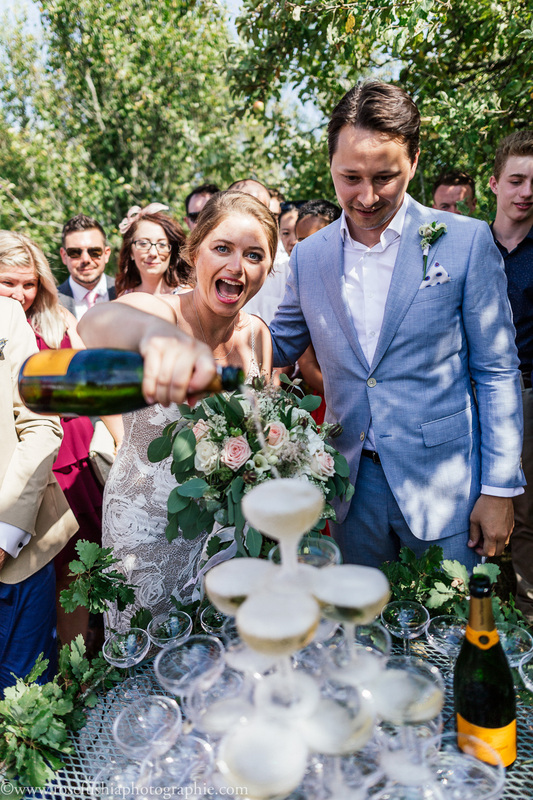 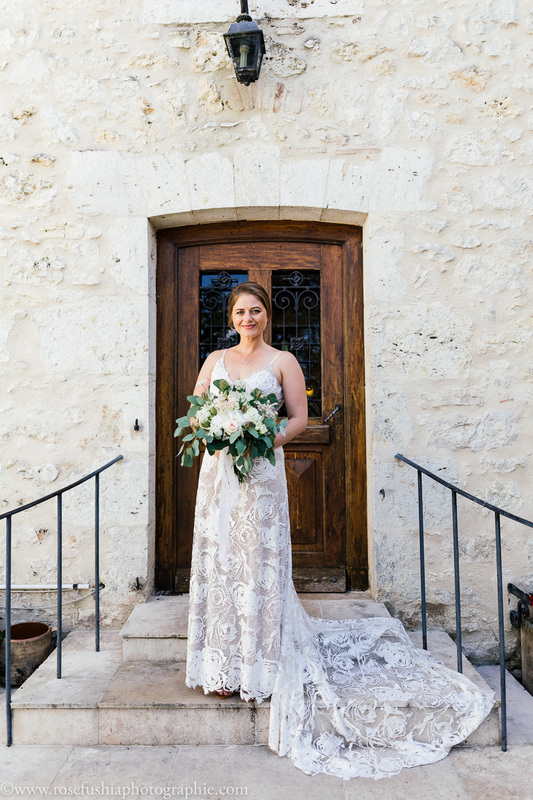 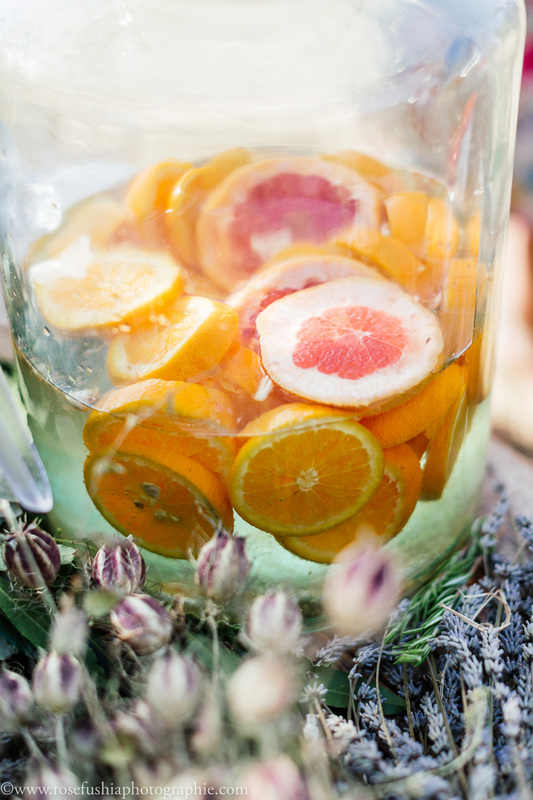 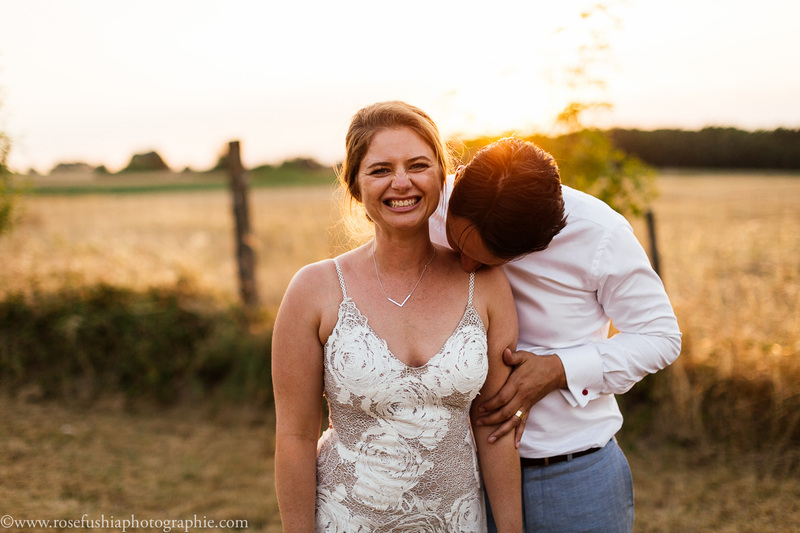 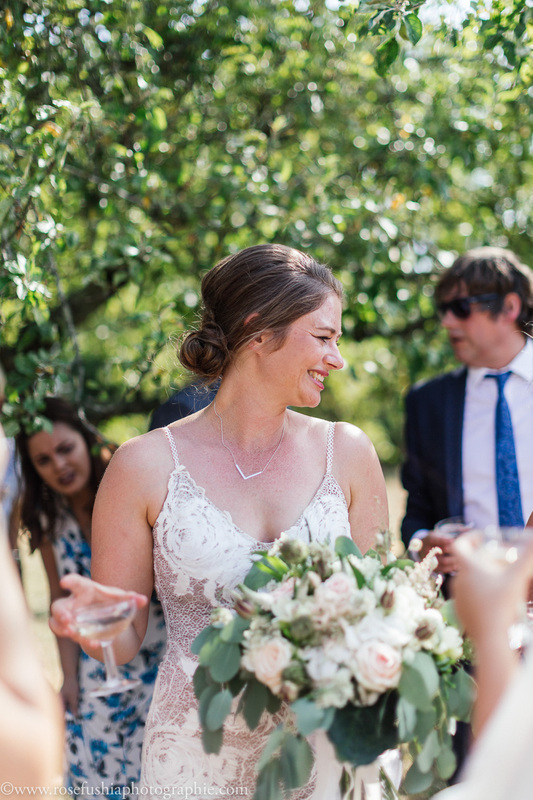 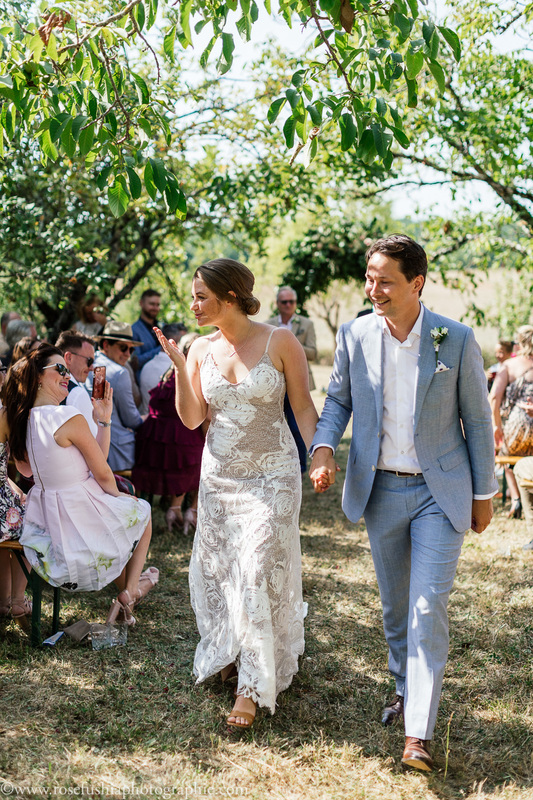 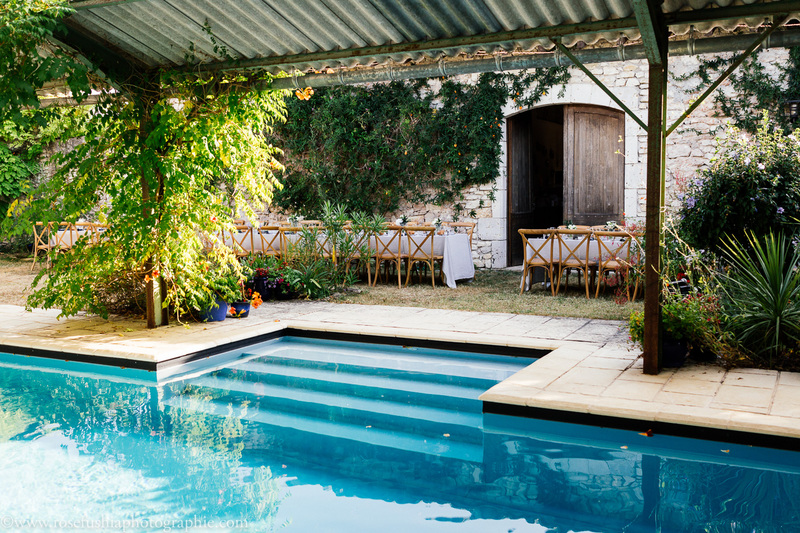 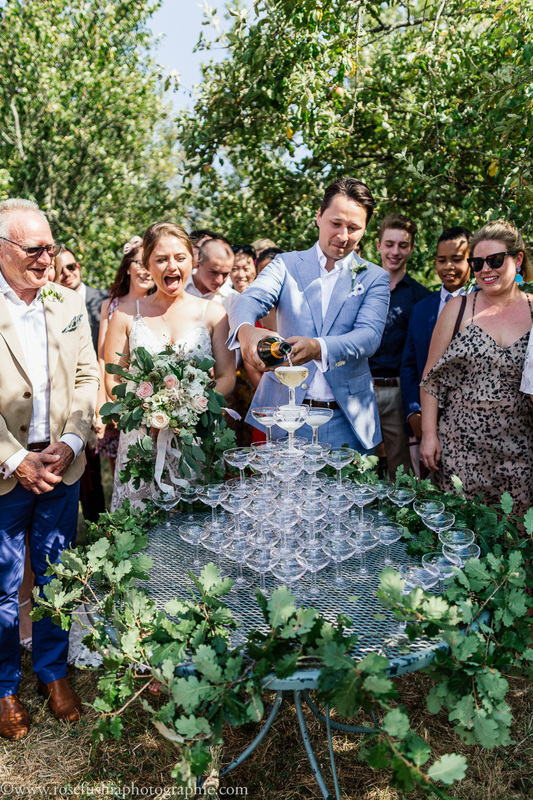 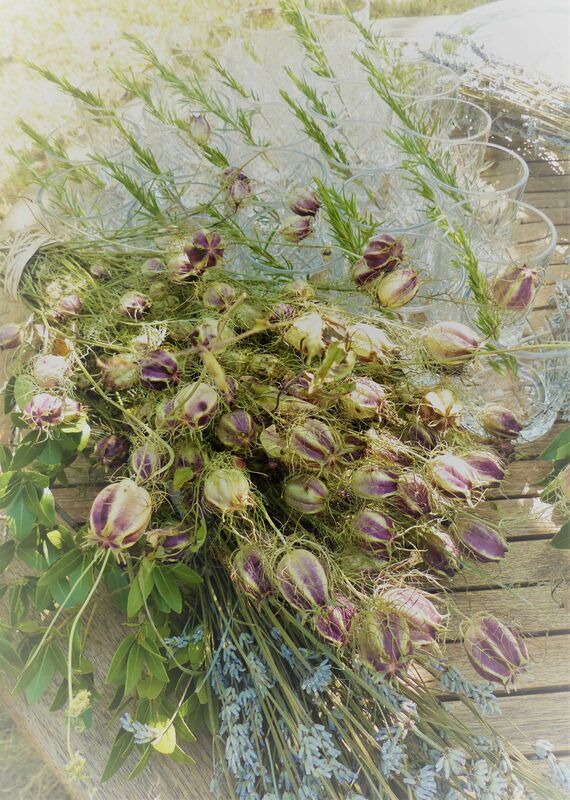 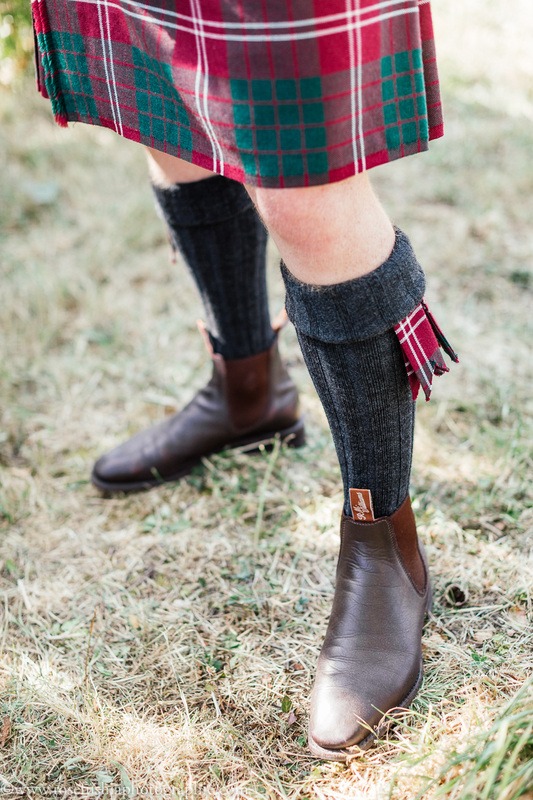 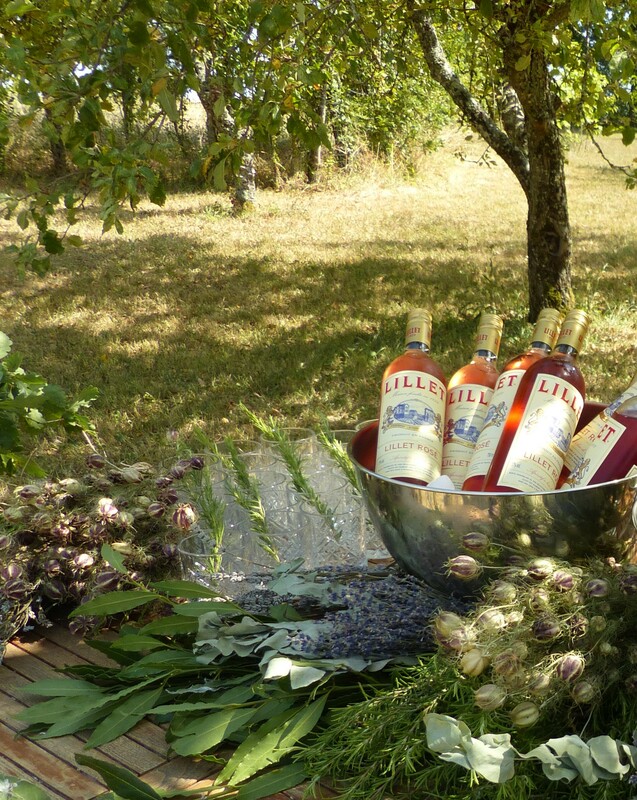 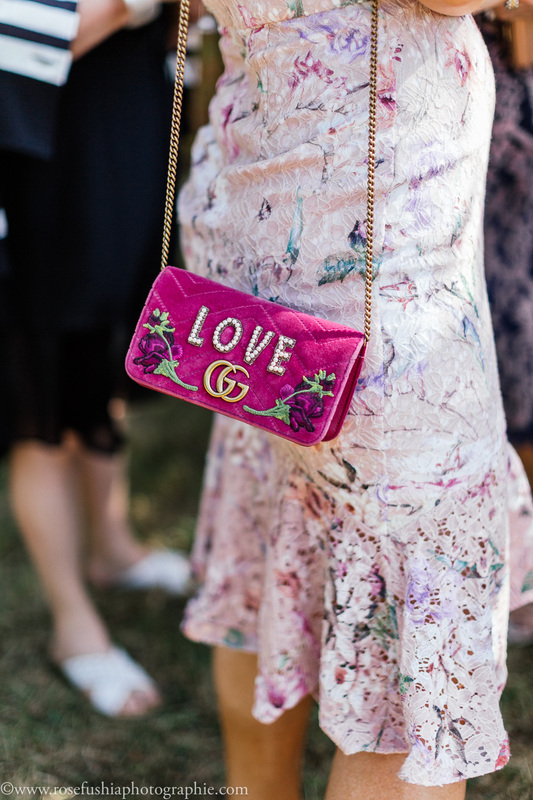 It turned out to be the the hottest day of the year when Samantha and Joseph had their charming wedding at Joe’s parent’s house in Montaigu de Quercy. Having legally tied the knot (Samantha from Oz and Joe from the UK) at the local town hall in Montaigu on the Friday, they chose to have their symbolic ceremony the following day in the family orchard, where friends had spent the morning decorating the arch for them. 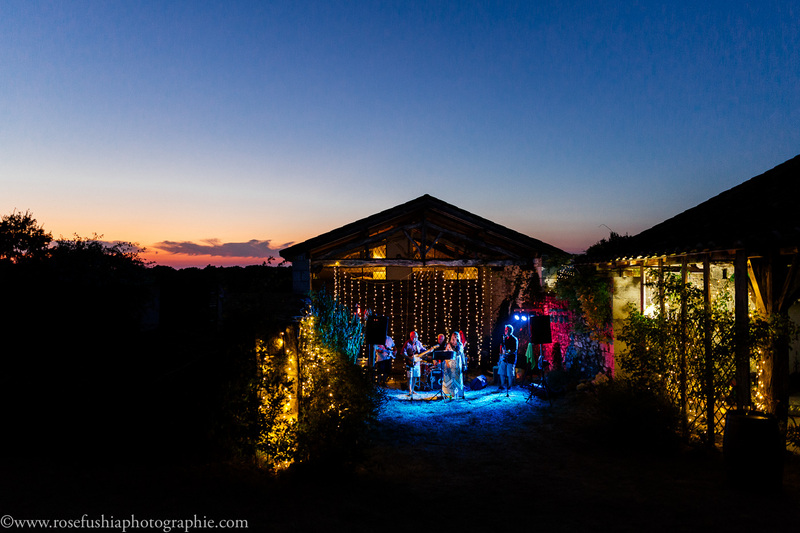 Dinner and dancing, with an amazing local Pop & Rock band, was in the old barn next to the swimming pool. 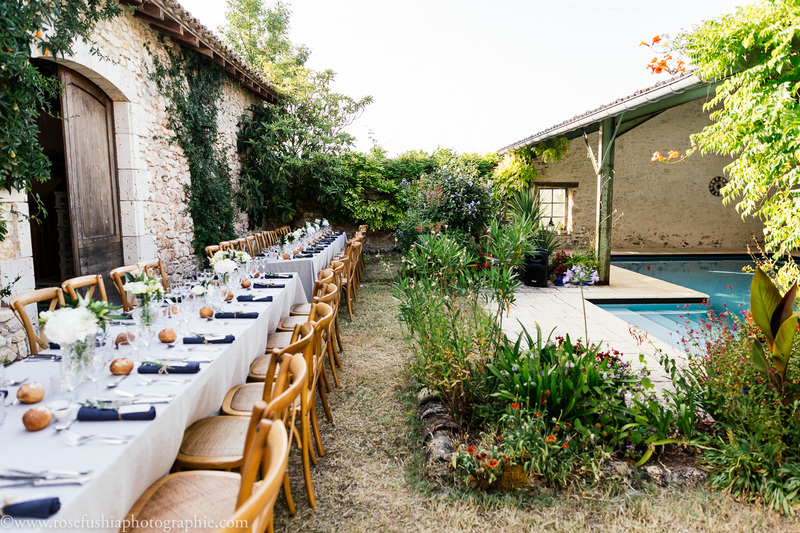 It was sooooo hot that Samantha, followed by several of the guests, jumped into the pool to cool off after dinner. The wedding dress was instantly laid out on the ping-pong table to dry out in the hope that it would recover its original shape. 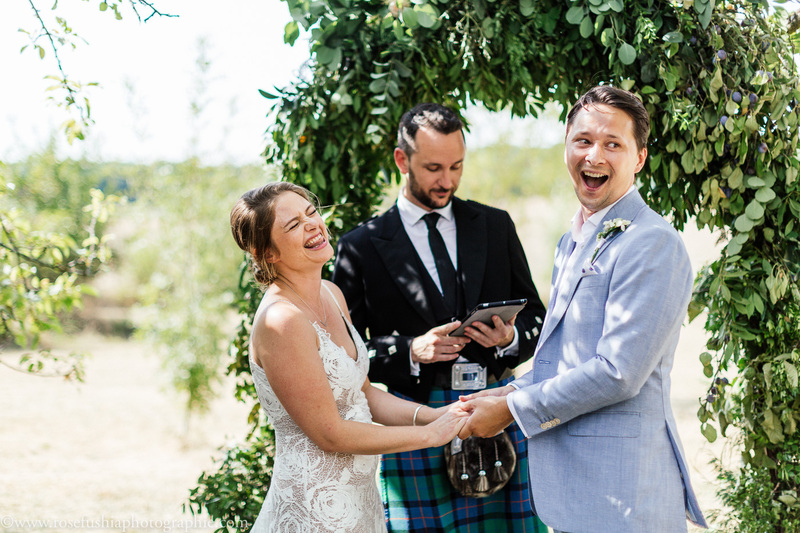 A very relaxed, fun-filled wedding – a true reflection of this fab couple!